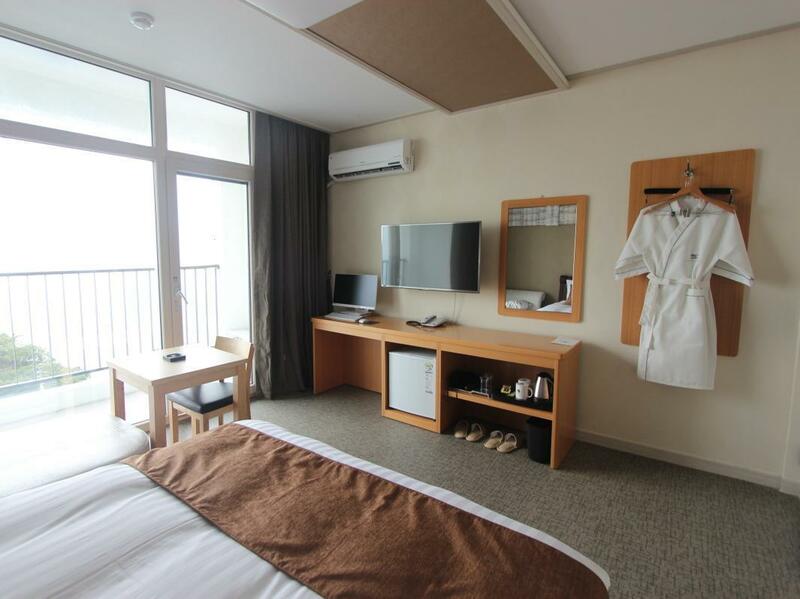 ﻿ Seacore Hotel, Ulsan - SAVE ON AGODA! Have a question for Seacore Hotel? Awaken to a glorious sunrise glittering over the sparkling waves. The property is superbly located in Jeongja on the northeast coast of Ulsan. All 36 keys at this property come with floor-to-ceiling windows or a private balcony overlooking utterly fascinating panoramic views of East Sea on a kilometer and a half stretch of Jeongja black pebble beach, only a minute away. All renovated rooms are furnished in a tasteful, modern style and features a plasma/LCD television. Please enter your preferred dates of stay and submit our online booking form to make a reservation at Seacore Hotel. My husband and I enjoyed our stay at this cute beach hotel. We had an ocean-view and it was nice to sit out on the balcony in the evening. The hotel seemed relatively new and the bathroom was clean. My husband ate breakfast one day and said it was very minimal, though. We enjoyed spending time on the rocky beach nearby and brought a tent and a portable cooking unit to cook samgyeopsal (pork belly) on the beach. There are many nice coffee shops nearby and although the nearby beach isn't suitable for swimming, you can drive to another beach if you'd like to swim. Cleanliness, Great View, Not a love motel. We had a very pleasant and comfortable stay at the Seacore Hotel. It is very clean and the rooms are very modern and comfortable. 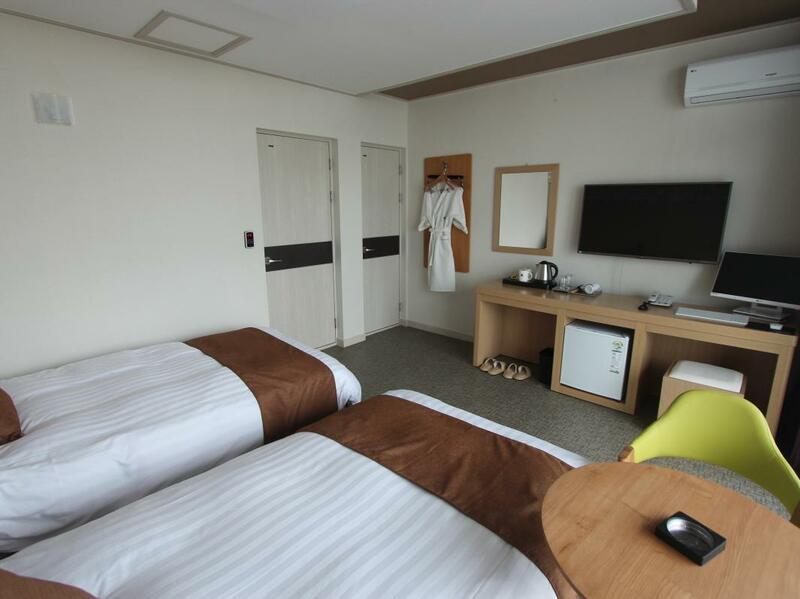 It's not your typical love motel in Korea, where the room is very dark and hardly any light comes in. It has a bathtub which my wife just loved, as it is quite rare to have bathtubs in Korea. The are only two things that I didn't like. It is quite far from Ulsan, so if you don't have a car, it will be very inconvenient. The bed is pretty hard, but still we managed to sleep well. The manager was friendly and helpful. 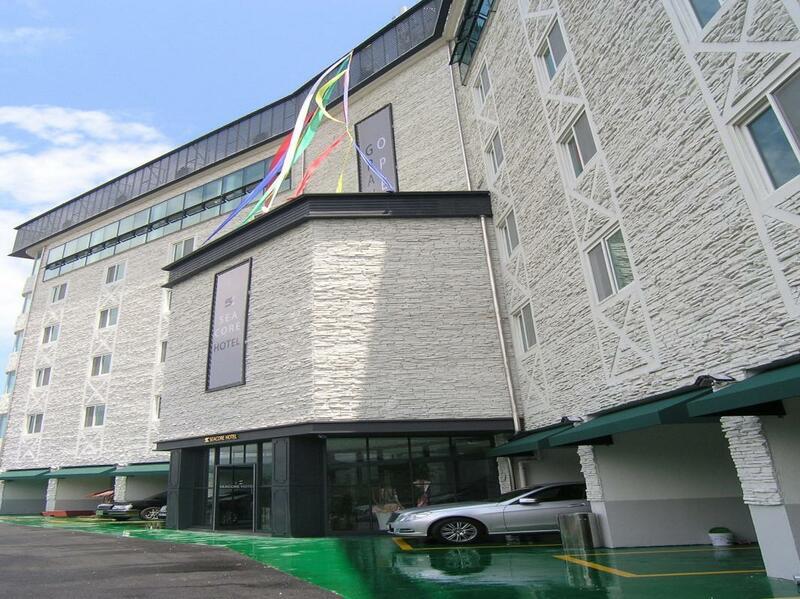 I would recommend this hotel and will stay here in the future if we ever go back to Ulsan. 사장님도 친절했고 오션뷰가 아주 좋았습니다. 다만 주위에 아직 상권이 발달되지 않아서 음식점 찾기가 힘들더군요 그래도 상당히 만족스러웠습니다. This place is really quiet.It is suitable time to go now (early of Nov.).There are 20~30 people on the beach which has no sand but really soft and small stones there . It is 3 stars hotel that means bed is not really soft but the view is awesome. The cafe Bene close to it has a terrace where you can play Ping-Pong for free. It is not for sightseeing. This place for taking a rest. It is far from the KTX station.It takes around 1.5 hrs to go there and you need to change transportation Bus to taxi otherwise it takes over 2 hrs. 숙박시설 괜찮습니다.그리고 바다 전망이 정말 좋습니다. 주변에서 가장좋은 숙박시설입니다. 주변 참 조용하고 아무것도 없어서 느긋하게 산책하고 바다보기에 좋습니다. 몽돌로 된 바다는 참 이쁩니다. 근처에 카페베네(걸어서 10분)가 있는데 옥상정원에 탁구시설도 있고 옥상이라 커피한잔과 바다를 볼 수 있어서 참 좋았습니다. KTX 역에서 호텔까지 들어가는 콜택시타면 30%할인됩니다. (호텔에 전화해서 물어보면 돼요.직원분들 정말 친절합니다.) 그리고 할리스 커피도 근처에 있는데 여기는 바다 바로 옆에서 커피 마실 수 있습니다. 아고다 평보고 이곳에 묶게 되었습니다. 우선 전반적인 평은 추천해드리고 싶습니다. 위치는 자차가 아니면 접근하는데 약간 불편할 수도 있다는 생각이 듭니다. 무엇보다도 이른 오후에 카운터에서 응접했었던 젊은 직원, 오후에 뵈었던 사장님께서는 매우 친절하시더라구요. 마지막으로 객실에서 보는 바다 전망, 특히나 오전에 일출은 최고였습니다! 울산에서 찾아보기 힘든 아름다운 전망의 깨끗한 소형 호텔입니다. 비품 하나하나가 신경쓴 느낌, 정말 좋았습니다. 최근 리모델링해서 깨끗하고, 청소도 잘 되어 있음. 모든 방들이 바다를 전망으로 하고 있어, 일출, 파도 구경하기에 좋음.